Providing The Bridge To a Greener Enviroment. There are good bacteria and there are bad bacteria. The bad ones can cause sickness and disease, while the good ones are instrumental in such things as fermentation of beer, curing of tobacco and processing of cheese. DIGEST PLUS contains only good bacteria, in this case designed to remove foul odors and stubborn stains by bio enzymatic action. When the good bacteria in DIGEST PLUS come in contact with organics, they act like sponges to absorb it. Then enzymes produced by the bacteria liquefy and literally digest this matter as their food. In the process, nothing more is produced than harmless carbon dioxide, water and more enzymes. 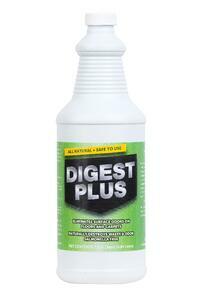 The bacteria in DIGEST PLUS are living organisms and need food to grow and multiply. Once they contact organic matter, they go to work digesting otherwise impossible-to-remove odors and stains. DIGEST PLUS eliminates odors and stains more effectively, because every gallon is certified to contain 250 billion bacteria. 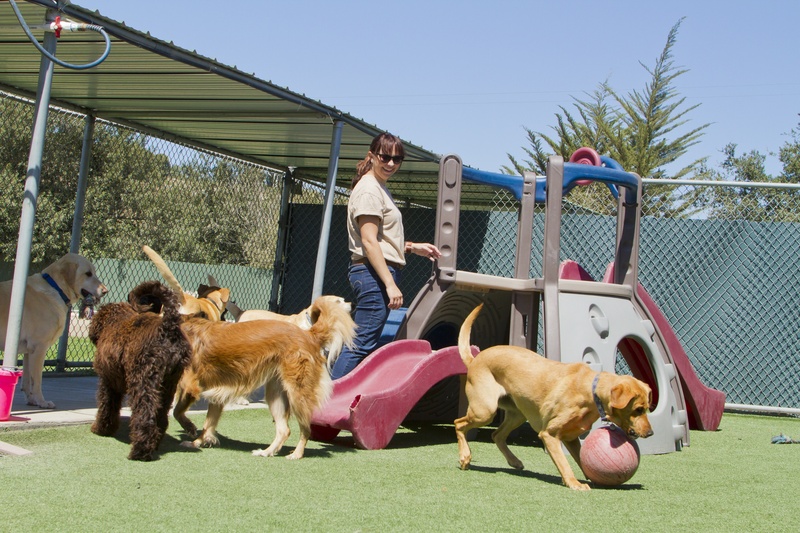 Digest Plus is perfect for dog kennels and artificial turf. 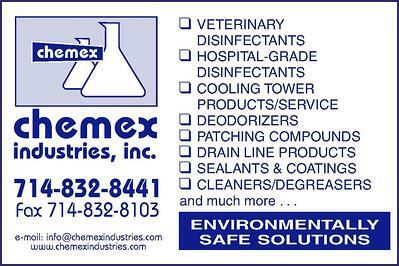 Digests foul odors in and around urinals and toilet fixtures, chemical toilets, waste containers, etc. -in urinals drains and traps - in carpets - upholstery / fabrics -animal pens / cages / runways . Use in water trucks to eradicate sub-surface odors in concrete. Spray on walls and bridges. Removes stains from urine, feces, vomit, blood, milk, coffee and other organic matter. Safe on Contact Surfaces - There is no heat generated to cause leaking pipes. No solvents to dissolve the backing of carpets or to craze plastics. No acid to etch floors or the grouting around toilets & urinals. Long Shelf Life - The bacteria in Digest Plus are in the form of spores with a protective shell that keeps them dormant until the product is removed from the container and contacts organic matter. People Safe - Acts by liquefying and digesting organic stains and odors by enzymatic action. The only by-products produced in the process are carbon dioxide and water, plus additional safe cells. A synergistic blend of cultures - For broad spectrum effectiveness. Not just a single strain, as are so many products. Environmentally Safe - Cells that have multiplied during the use of Digest Plus are a help in cesspools, ponds, waste treatment plants because they help seed the bio-degradation of other waste. 250 Billion Enzyme Producing Bacteria Per Gallon - This astronomical figure is certified to be correct and is important to you because the thoroughness and speed with which an enzyme producing bacteria digests stains and the cause of odors is directly related to the bacteria count. Dilute according to label instructions, for added economy and effectiveness. Copyright 2014 Chemex Industries, Inc. . All Rights Reserved On All Content.